Local 411 of the International Alliance of Theatrical Stage Employees (I.A.T.S.E.) formed in Toronto in 1998 to represent Production Coordinators in the Motion Picture and Television Industry in the Province of Ontario. The Local’s charter was granted in 1999 and its autonomy by the International in 2001. 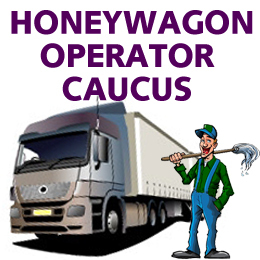 Craftservice Providers and Honeywagon Operators joined the Local in 2002 & 2003 respectively. I.A.T.S.E. Local 411 has become an integral part of motion picture production in Ontario. The Local has signed contracts with every major studio and worked on the majority of motion picture and television productions in the Greater Toronto Area. As part of the International Alliance, Local 411 works in conjunction with the other Unions, Guilds and Associations in Toronto and holds jurisdiction for Ontario. The Local are dedicated professional members, who have a broad range of skills and experience. Our members form the backbone of every production, on set and in the office. For 411 category basic job descriptions click here. For information about joining Local 411 as a new member in the Production Coordinator Caucus or Honeywagon Operator Caucus, or becoming a permitee in the Craftservice Provider Caucus, please see the information below. Only persons legally entitled to work in Canada are able to become a permittee or member of IATSE Local 411. Canadian Birth Certificate issued by the vital statistics agency in the province or territory where you were born. Certificate of Canadian Citizenship issued by Citizenship and Immigration Canada. Permanent Resident card issued by Citizenship and Immigration Canada. Work permit issued by Citizenship and Immigration Canada. Study permit issued by Citizenship and Immigration Canada. A study permit is acceptable only when it indicates that the permit holder “may accept employment” or “may work” in Canada. If neither of these statements is on the study permit, you will need to contact CIC to obtain additional information. Visitor record issued by Citizenship and Immigration Canada, indicating you are authorized to work in Canada. For more information on getting a WHMIS certificate, please visit the Canadian Centre for Occupational Health and Safety website. *You must use one of the following browsers to receive a valid certificate: Internet Explorer 9 or later / Safari 5.1 or later / Google Chrome 17 or later. 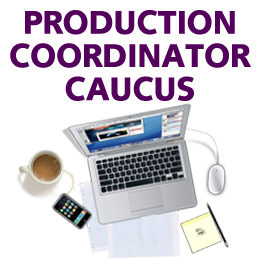 If you are already a member of our Production Coordinators caucus and would like to upgrade to another category within the PC caucus or be listed in an additional category within the caucus, please click the requirements policy below for more information, or contact the Local office. In order to become a Craftservice Permittee you must attend an IATSE 411 Craftservice Permittee Orientation* in addition to providing the required documents and fees as described in the Craftservice Providers membership requirements policy (see link to policy below). How did you hear about Craftservice? What do you know about Craftservice and the film industry? What kind of food experience do you have? How is your past job experience relatable? **Prior to being approved for Membership – applicants must attend a Callsheet/Paperwork Seminar. Please note, this seminar will be held twice a year. The next date is to be announced. You MUST register to attend. Email adminasst@iatse411.ca to register. If you are registered for the Orientation Seminar and need to cancel your attendance or arrive late to the Orientation, please see our Lateness and Cancellation Policy. A valid Food Handler Certificate is a requirement for all IATSE Local 411 Craftservice Providers. To comply with this requirement, you must obtain a certificate recognized by the Ontario Ministry of Health by successfully passing an examination from a recognized Food Handler certification program and providing the Local 411 office with a copy of your valid Food Handler certificate. A Food Handler certificate demonstrates that the individual possessing one has the basic knowledge to identify risk factors associated with food borne illness and the skills necessary to prevent food contamination from occurring. Certificates may be obtained through a City Public Health Office or from various private accredited companies. For more information on getting the Worker and Supervisor Ontario Occupational Health and Safety and Awareness Training certificates please go to: www.Ontario.ca/LearnToWorkSafe. You MUST submit a PDF or paper copy of your certificates when submitting with your application. Please contact the 411 Office at 905-232-6411 for further information regarding the Craftservice Driver Trade Test. You must attend and pass the Trade Test in order to be listed as Driver Qualified, whether you are a Member or a Permittee. The next scheduled Driver Trade Test will be happening in Spring 2019, date to be announced. Requirements: Copy of Driver’s License / Driver’s Abstract / Course Fee. Please note, your abstract must be dated within 30 days of your scheduled test date. 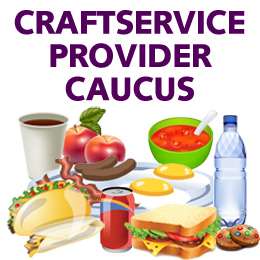 For information on applying for Full Member Status in the Craftservice Provider Caucus, please see Step 2 of the Craftservice Providers Membership Policy. If you have completed the required days worked, per the current membership policy*, as a Craftservice Permittee and have attended a Callsheet/Paperwork Seminar and are ready to apply for full membership, send your membership application to ‘The Craftservice Providers Membership Committee’ via Email to: adminasst@iatse411.ca, via Fax to: 905-232-6412 or drop it off at or mail it to the union office at: 2087 Dundas Street East, Suite 104, Mississauga, ON L4X 2V7. For information about being reinstated from Honourable Withdrawal status, Expelled status or Resigned status, or regarding Transferring your membership from another I.A.T.S.E Local into Local 411, please click here.